With the development, the Southwest, which is demanding the SGF’s seat, may lose out if PDP and Atiku bow to the Southsouth pressure. 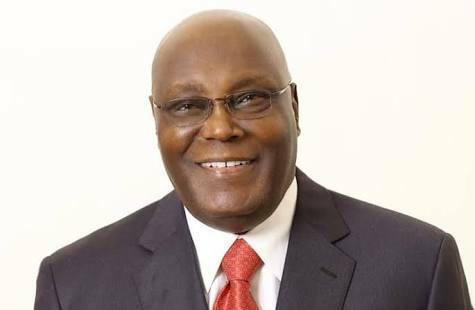 Atiku has promised to concede the position to the Southwest as re-echoed recently by ex-Governor Gbenga Daniel, who was the Director-General of the now disbanded Atiku Campaign Organisation. Some Southsouth leaders and ex-militant leaders in the Niger Delta are behind the lobbying. They believe no other post could assuage their marginalisation than the SGF slot, The Nation learnt. The leaders, especially the former Niger Delta warlords, are said to be insisting that they will not play second fiddle if PDP returns to power in 2019. Their position is said to be the outcome of a recent meeting between some South-South opinion leaders and ex-militant coordinators. A source, who spoke in confidence with The Nation, said: “We have a fresh challenge at hand because the Southsouth wants the SGF slot in a move which may alter pre-primaries negotiation with the Southwest. “This demand from the Southsouth is part of the intrigues surrounding the ongoing horse-trading in PDP. Every geopolitical zone is interested in what PDP and Atiku will offer it. “So far, neither the PDP nor Atiku has been forthcoming on the positions to concede to the South-South. Atiku’s camp, however, said it is too early to jostle for positions when a big battle is ahead. One of Atiku’s strategists, Mr. Phrank Shuaibu, said: “The party has already done its zoning and that was why it’s presidential candidate came from the north. The candidate does not intend to alter the decision of the party unless the party decides otherwise. “We regard these remarks as permissible conjectures, allowable agitations or gambits that can be used for negotiations, particularly now that it is becoming obvious by the day that Alhaji Atiku Abubakar, the presidential candidate of the PDP is a clear favourite to win the 2019 presidential election. “However, the truth of the matter remains that it is still early in the day to firmly allocate certain sensitive positions at the national level when the real battle ahead is to defeat and dismiss President Muhammadu Buhari and his APC Government at the centre. “The discussions on the issue of power sharing and ethnic balancing are an evolving conversation and negotiation. Nothing is static or written in gold or even cast in stone.